It is such and honor and a pleasure to work with all the horses (dogs, cats, etc) from photos or mane hair samples I get from all over the country! It is not about what we think they need, I use a method of Kinesiology to look for weak energy systems in their body and then match the energy of a herb blend or supplement to support the weak area in priority. It is so exciting to see and hear how horses become so much happier and healthier after being supported with Equine Natural Care's equine herb blends. Evaluating your horses herb blend needs using Kinesiology! 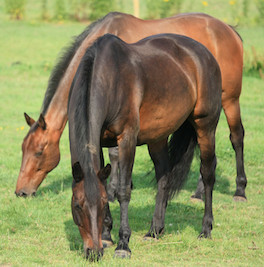 mental, emotional and physical needs for your horse!